Usually, the pleasure of eating fish eyeballs only comes around when you have a whole fish at your disposal, which in itself is not a common occurrence unless it's grilling season or you're at a Chinese restaurant. But even then I find people still prefer fish that doesn't require any work, where all the bones have been removed already, and you don't have to stare at its dopey looking face. I think that should change, don't you agree? 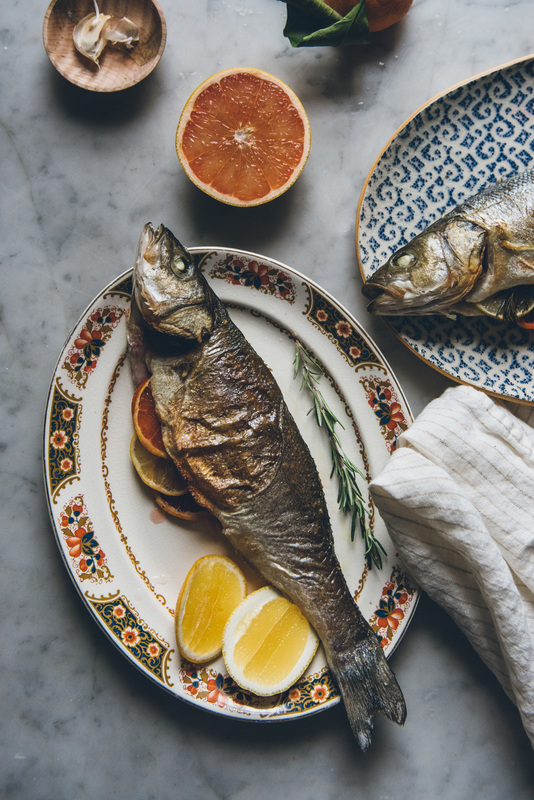 Whole roasted fish is not only delicious, but gorgeous, healthy, and easy. 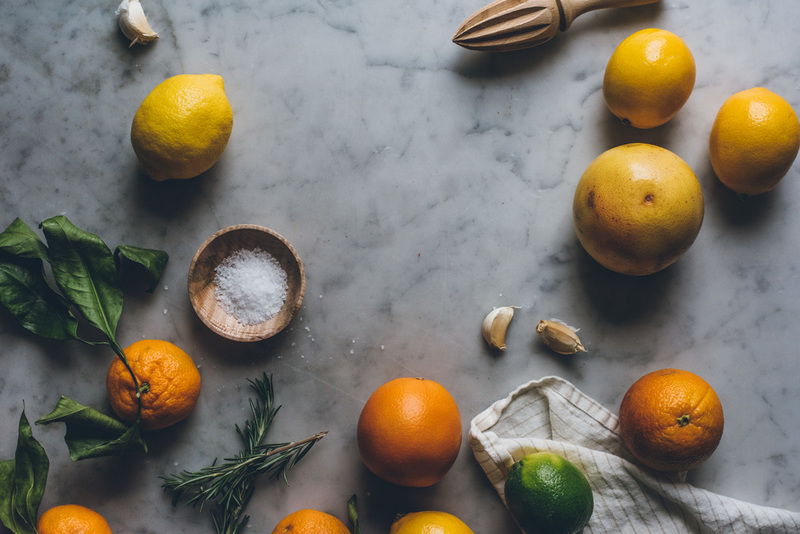 Here we're taking advantage of the winter citrus season by stuffing their bellies with sliced lemons, oranges, and grapefruits, but you can really add any aromatic you prefer. After it's finished, a squeeze of lemon, a glug of olive oil, and you have a meal that would make your mama proud. For the easiest and fastest meal in the world, get your fishmonger to clean the fish for you (they'll usually gut, scale, and remove the fins). If you're up for getting your hands dirty it's pretty fun, albeit a bit icky, to do it yourself. Preheat oven to 450 degrees F. Liberally salt and pepper the inside and outside of your fish and let it rest for 15 minutes. After the time has passed, stuff their cavities with sliced citrus, rosemary, and garlic. Drizzle olive oil over the skin and gently rub it in on both sides. Transfer fish to a wire rack set on top of a baking sheet. Place in oven and bake for 15 minutes until cooked through. You can serve the fish immediately with some olive oil and lemon wedges or filet the fish when it is cool enough to handle.